This could be the conversation you’ve been having with yourself before you come to the realization that buying a hair system really is the best option for getting your hair back. Where to start though? There is actually a string of terms that will keep cropping up when you start your research and then a surprising number of factors for you to consider to make sure you get the hair system that’s just right for you. This is particularly the case for first-time buyers. Sure, customized hair systems give you great flexibility in choosing exactly what you want but unfortunately they can’t accommodate everything. Some things just aren’t compatible and compromises have to be made as you will discover below. Reading around, the first thing you will have to decide on is whether a natural appearance or durability is more important. This will be the starting point for any decision on a hair system. The more natural a hair system looks, the less durable it will be and inversely the more durable a hair system is, the less natural it will look. This will lead you to start weighing up the various pros and cons of the most common materials used to make hairpieces: lace, skin, or monofilament. In short, lace is for those of you whose priority is a natural appearance whereas mono(filament) bases are typically favored by those who want a long-lasting system. Skin falls somewhere in the middle of the two but given that some skins are just 0.03mm in thickness they shouldn’t be considered as durable. It’s difficult to give a precise time frame for a hair system as its shelf-life depends on how the individual wearer looks after it. Mono systems might last over six months whereas French lace might last no longer than one month before it starts to fray or deteriorate. Mono weaves are tighter, stronger and more numerous than lace ones and are therefore more visible and less natural looking. Breathability is an often used word in the hair system industry. The simple truth is that some systems are more breathable than others. Breathability is essential if you live in a hot climate or are going to be exercising regularly. Heat and moisture can easily escape through the holes in lace or mono bases. This is not possible for skin hair systems. Often going hand in hand with breathability, we have comfort. Like breathability, some systems are a lot more comfortable to wear than others. If comfort is your primary concern then Swiss lace could be the best choice for you but as mentioned above, you would be making a big sacrifice on the lifespan of your system. The finer and therefore more comfortable the material, the less durable it will be. Of course, we can’t neglect to talk about the other major component of any hair system. 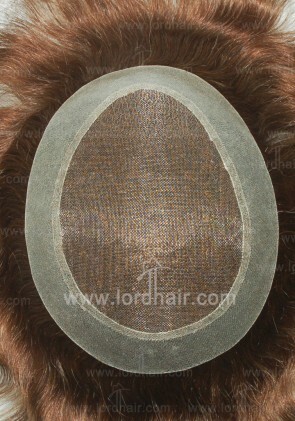 The type of hair density you want can have a strong influence on the hairpiece you choose. 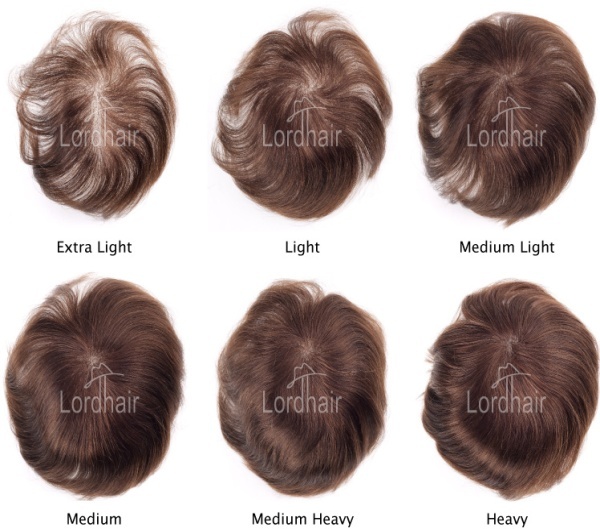 Some systems cannot support your desired hair density and an incorrect hair density is often the biggest giveaway that you’re wearing a hair system. Choose a hair density to match your existing hair, not your ideal hair density. If you need a full, thick set of hair then consider a mono base. Ultra-thin skin and Swiss lace systems, on the other hand, are not strong enough to take anything greater than medium light density. Then there is the matter of your preferred hairstyle. Hair is our biggest accessory after all. Say you want to style your hair in a way that exposes the top of your forehead, then you’re going to need a hair system with a particularly natural looking front hairline. French lace offers this, as opposed to a thicker type of skin. You may also need to consider what you’re going to do with the rest of your hair. For example, you may decide on a skin hair system where the hair is injected into the base. The way in which you can comb your hair is determined by the angle in which the hair is injected. Should you have it injected so the hair roots are not perpendicular to the base then you would only be able to comb your hair in one direction. If you are going to have a parting then pay attention to how the exposed scalp will look to the naked eye. Skin bases can also have strands of hair looped through them so there are no knots yet hair can only be attached to lace by secure knots. These can be visible to the eye unless bleached but bleached knots weaken the hair and may cause it to shed more quickly. 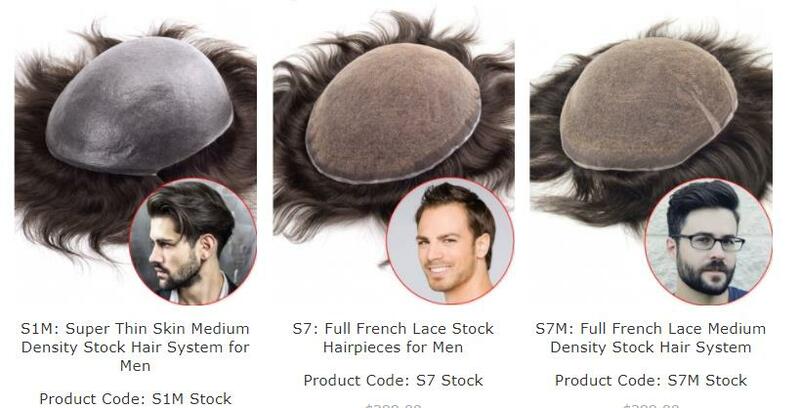 What you will find though is that many hair systems are made from a combination of different materials, skin with a lace front or mono with a PU edge, to try and offer you the best of both worlds. One of the reasons these types of systems are popular is because of personal adhesive preferences for hair systems. Some prefer glue to tape and since glue isn’t really recommended for lace, people often want their hair system to have some kind of skin area on which to apply glue. Perhaps, it is amiss to finish with cost when cost is more often than not the decisive factor in any purchase. The fact is that customized hair systems are pricier than stock systems and the more intricate you want your system to be then the more expensive it will be. However, as you will see on our website, hair systems don’t need to be so expensive and the more hair systems you buy per order, the cheaper the cost of an individual system becomes. So have a look at what we can offer you on our website- you’ll be amazed at the number of different hair systems available. If you have any further questions, our service team will be more than happy to help you. 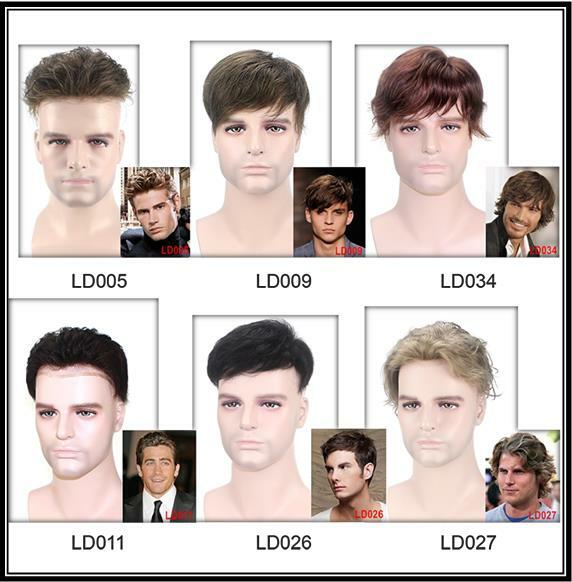 10 Professional Hair Systems for Office – Men’s Workplace Wigs!